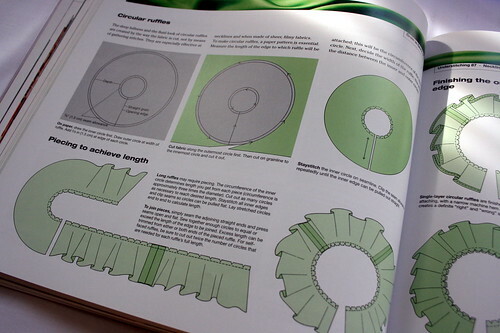 I’ve had a few emails from readers and queries from friends about a good reference book to start with when they’re sewing, so let me introduce you to the bible: The Reader’s Digest Complete book of sewing. When I first began my adventures I spent a lot of time on the net searching various forums, cross referencing with amazon’s handy “look inside” and reader’s reviews. I ultimately settled on this book after taking all of the above into consideration. It might be a little pricey but it really does cover everything and anything in between. Being dyslexic, diagrams are a great way of showing me what to do. I can only get so far when I’m reading written instructions and this book goes that extra step further, with clear instructions and pictures. Whether you’re dyslexic or not this is a really great handy guide for anyone getting into sewing. 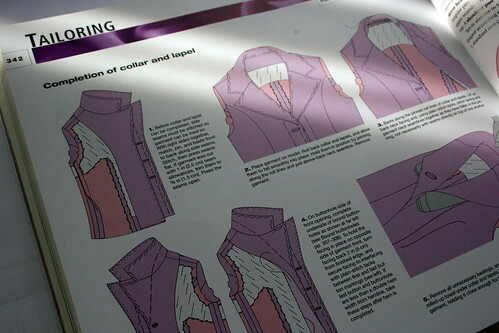 It has step by step diagrams for processes from tailoring to hand stitching hems. Take the circular ruffle on my Joanie inspired dress. 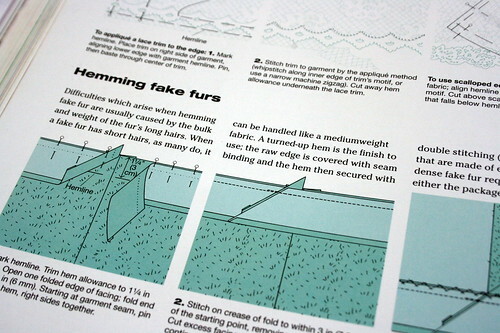 Something that I really struggled with looking at the instructions on my vintage pattern (as with all vintage patterns, they assume you already know a lot about sewing) but I just looked to my bookshelf, checked the reference pages and found what I was looking for quick smart, and away I went. 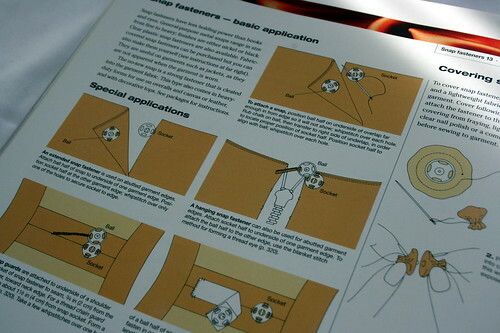 I haven’t sewn any of the projects in the book – they’re not really my style but the instructions are clear, concise and contain a handy key at the top of the pages to point you in the direction of the correct pages for each separate part of the making up process. Everything I have ever been stumped by, whether it’s a technical word, the correct way to sew a fastening or a tricky seam, I know I have the help I need an arm’s length away. 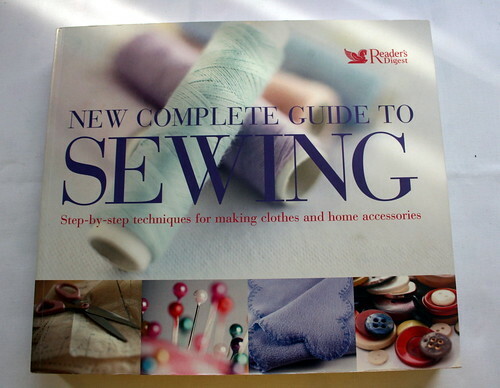 If you’re beginning your sewing journey and would like the perfect accompaniment then kit yourself out with this book. It really is the best and works side by side with your sewing machine. It’s currently on Amazon for £40 BUT you can get a good second hand copy for under £10 too. PLEASE VOTE FOR ME – 6 DAYS TO GO! It’s super close folks and one vote could tip me into the top three which means I could be going through to the judges panel. Please give me a little vote if you can. 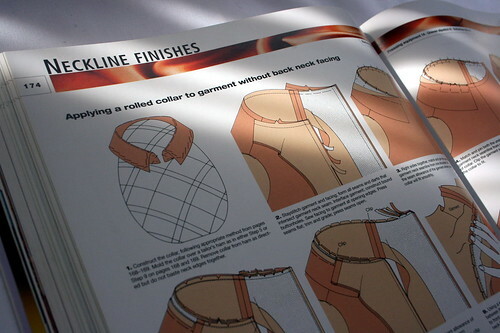 I have this RD sewing book as well! 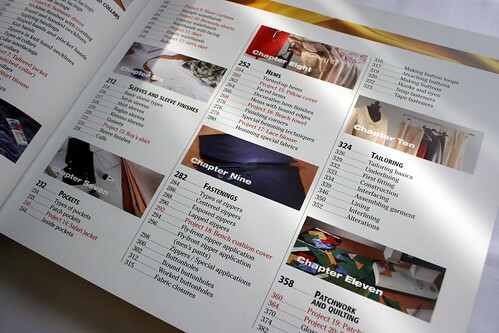 It has so much information, is super easy to follow, and very complete. My copy is a much older version, but fro what I’ve heard, most of the book is still the same. 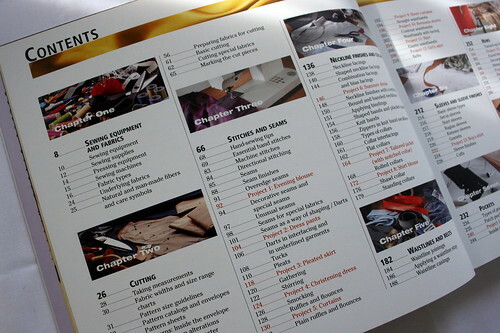 Excellent resource for the sewist!